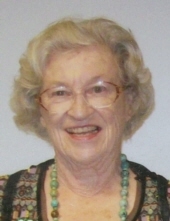 Janet Tobin Goetz, 84, of Iowa City, IA, passed away Saturday, March 16, 2019 at Mercy Hospital. Private Family Burial will be at Oakland Cemetery. A Gathering will be held on Thursday, March 21, 2019 from 4-7 PM at The Kirkwood Room, 515 Kirkwood Avenue, Iowa City. In lieu of flowers, memorials may be directed to Mercy Hospital Foundation for Cardiac Rehab. Janet was born on December 15, 1934 in Vinton, IA the daughter of Louis P. and Virginia Whipple Tobin. She graduated from Stephens College in Columbia, Missouri with an Associates of Fashion Marketing and the University of Iowa with her B.A. in Art History, but continued to learn and experience the world her whole life. Janet was united in marriage to Carl Goetz in 1958; he preceded her in death October 2012. Janet was an avid collector with an eye for antiques, co-owning the long-lasting Antique Mall of Iowa City for many years as well as her own business, Cottage Industries. Janet was as successful in the arts as she was in business - in 2018 she won the Ruth Van Den Baard state fair award for her freeform knitted sculptures. She loved to play tennis, and in 2009 she went to nationals for senior’s double tennis. Family was extremely important to Janet, and the times spent at her beloved Rose Hill home, the family farms, and the cabin on the Cedar River were among the best of her life. Janet truly was a purveyor of the world - she learned everything, she experienced everything, and she brought joy to everyone that she met. Janet is survived by her three children, Mary (Jim) Boutwell of Jacksonville, TX, John Goetz of Iowa City and Anne Goetz (Scott Siegling) of Iowa City; four grandchildren, Virginia Boutwell of Los Angeles, CA, Annie (Ben) Winsett and their son Miles of Tyler, TX, Catherine Boutwell of Seattle, WA and Araminta Siegling of Iowa City; and her dear friend, Bill Strong of Vinton, IA. She was preceded in death by his parents; husband, Carl Goetz; and sister, Mary Benning. Janet saw the value in everything, and every experience was the best that she ever had. To send flowers or a remembrance gift to the family of Janet Tobin Goetz, please visit our Tribute Store. "Email Address" would like to share the life celebration of Janet Tobin Goetz. Click on the "link" to go to share a favorite memory or leave a condolence message for the family.